A long time ago I created a blog series which I only ended posting the one time. Well, I'm finally writing the second post in that series. This is going to be something that I just do whenever and won't be on any sort of a schedule. Now on to the dress! 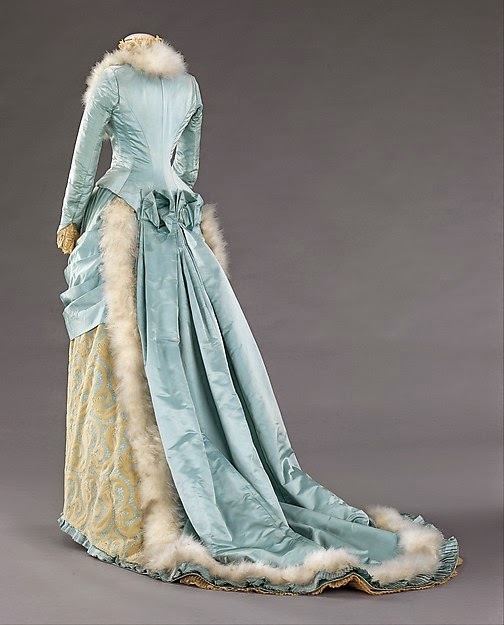 I adore everything about this 1885 evening dress! Everything about it looks perfect for a winter dinner, from the colors to the fur. 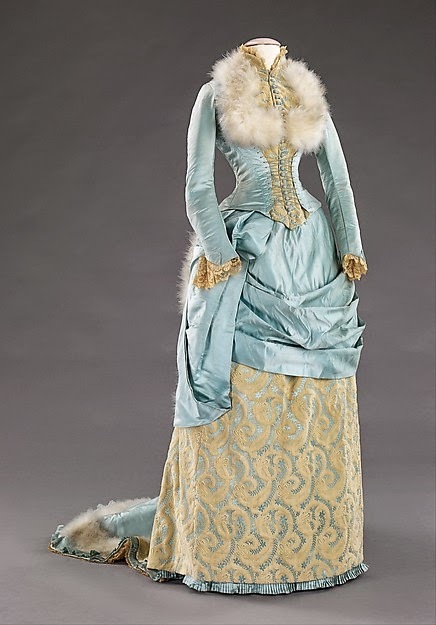 The dress is made from silk and feathers, it's style is typical to the mid 1880's with it's small bustle and long bodice. What do you think of this gorgeous Victorian dress?